Located in the beautiful Arbuckle Mountains near Davis, Okla. Whether you are a nature lover, adventurist, or an adrenaline junkie, Air Donkey Zipline canopy tour is an experience you will remember! 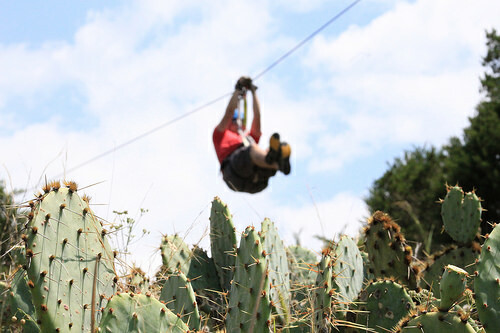 Two professional guides certified by the Association of Challenge Course Technology will lead you on this 2-hour tour. 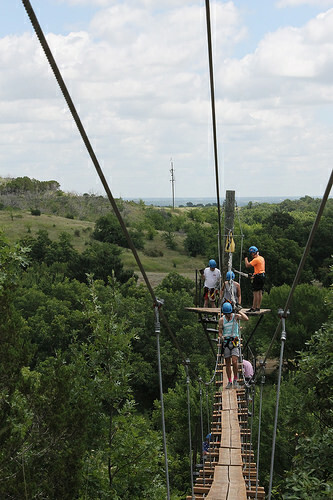 Air Donkey Zipline has 6 amazing ziplines and 1 sky bridge. 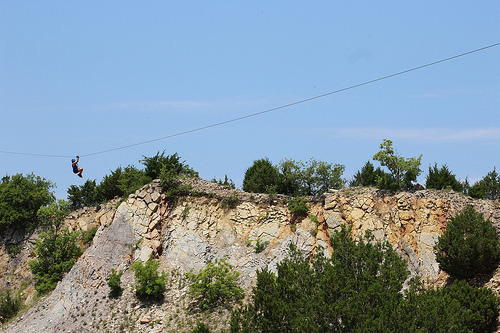 More than one mile of cable in the air in addition to the longest zipline in Oklahoma at 1800 feet. Stay at our Horseshoe Springs Cabins while you visit. Activities near us include:Cross Bar Ranch ATV Park, Turner Falls, Arbuckle Lake, Arbuckle Wilderness, Chickasaw National Recreation Area. From I-35: Exit 55, Hwy. 7 W. 1 mi, Dolese Rd. S. 2 mi.